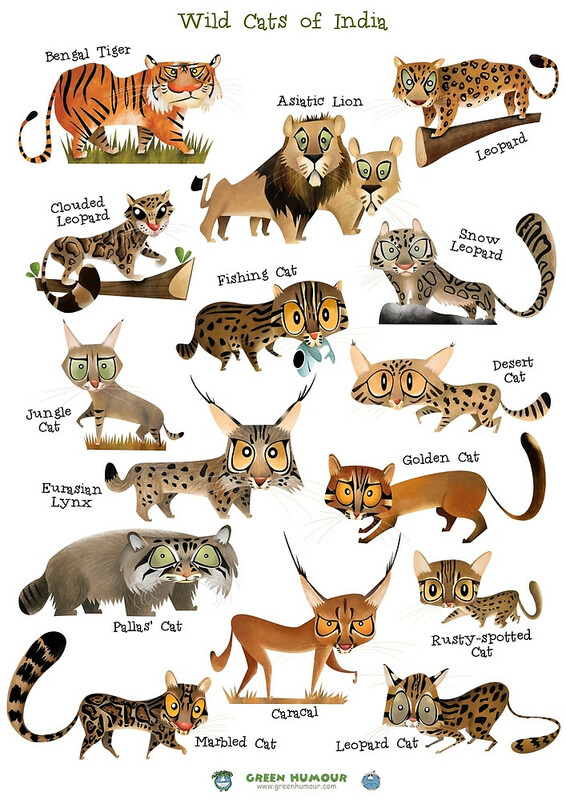 The Leopard Cat lineage consists of six Asian wild cats - five of the Prionailurus genus, some of which occupy wetland habitats and one cat of the Otocolobus genus which occurs in Central Asia. The Leopard Cat lineage is the second 'youngest' lineage that arose around 6.2 MYA (million years ago) from ancestors that crossed back to Asia from North America during the second ice age, and the resulting species mainly occupy Southern and Central Asia. Going back further in Felidae evolution, this line descended from ancestors that migrated to North America from Asia following the first ice age 8 to 10 MYA, when the Bering Strait land bridge linked Asia and North America. 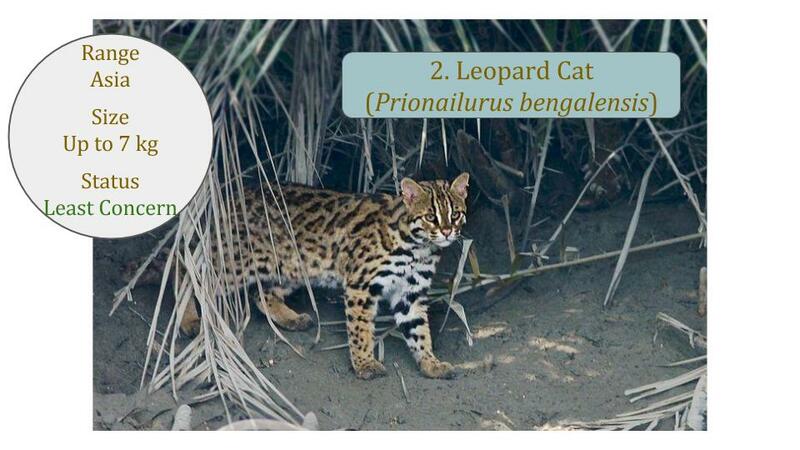 In 2017 the leopard cats were split into two species - mainland and island leopard cats, according to the revised Felidae taxonomy. Other small Asian wild cats are grouped under the Felis lineage and the Bay Cat lineage and the big Asian cats under the Panthera lineage. 1. 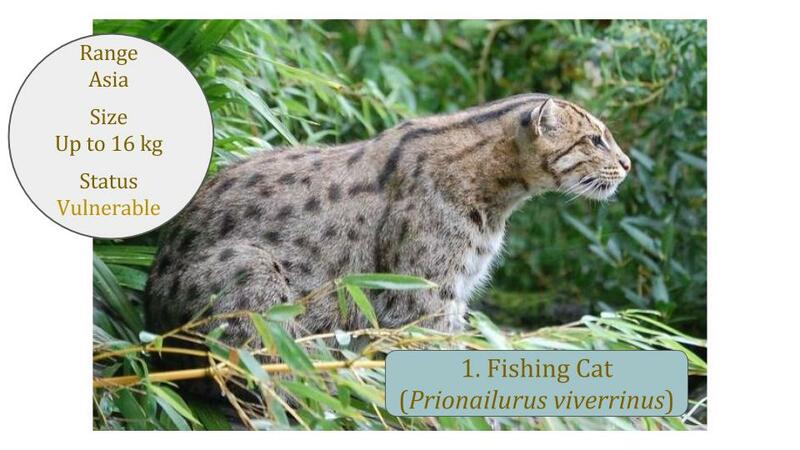 Which two cat species live in aquatic habitats and have a primarily fish diet? 2. What features about these two cats are similar? 3. 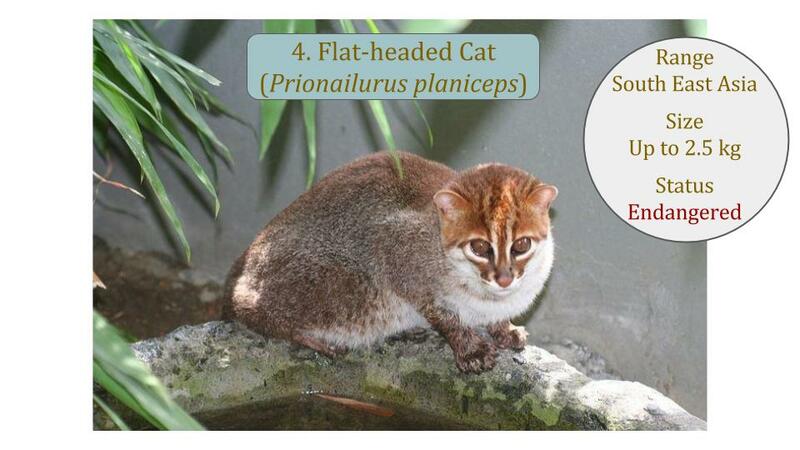 Which is one of the smallest cat species of all wild cats? 4. 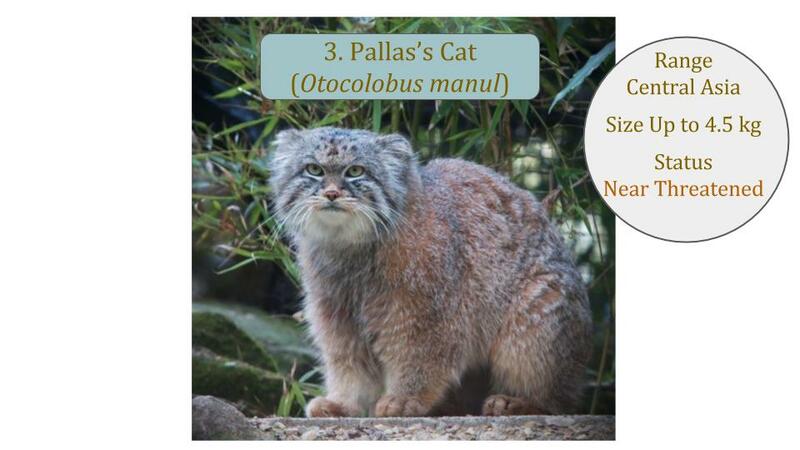 What is very different about the Pallas's Cat compared to most other cats? 5. 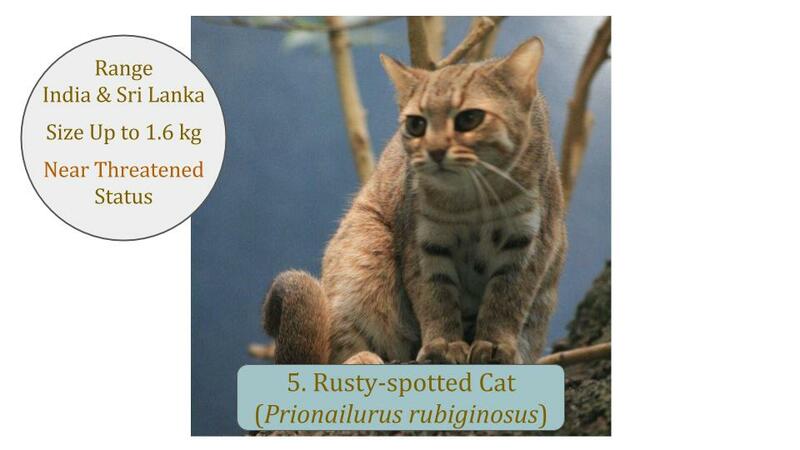 Which is the most common small cat in Asia? 6. 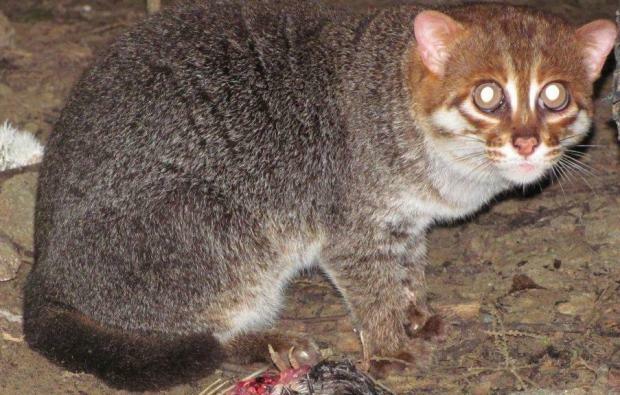 Which are the most threatened small cats in Asia?